Comments: No acquisition cost was disclosed but this was not a surprise to us as management has made known that acquisition is a part of edotco’s growth strategy. As at 31 September 2018, edotco has 2,287 towers in Cambodia and another 1,000 managed sites. At the group level, it owns 17,791 towers with another 11,287 sites under management. This new acquisition would only increase the total number of towers owned by 1.8%. Hence, no change to our earnings forecasts on Axiata. Maintain Neutral . The FBM KLCI might open higher today after US equities surged back into positive territory in the final hour of trading on Wall Street on Thursday, extending the previous day’s record-breaking bounce and further cutting the losses from a turbulent run-up to Christmas. Shares rallied near the end of what had looked like another bruising session. The S&P 500 index added 0.9%, reversing a decline of as much as 2.8% earlier in the session. The Dow Jones Industrial Average also ended in positive territory, for a gain of 1.1%, as did the tech-heavy Nasdaq Composite, which was previously down more than 3%. Still, data showing US consumer sentiment had worsened more than analysts expected cast a pall over trading earlier on Thursday. The December Conference Board survey showed confidence at its lowest level for five months, as political tensions and the economic outlook feed through into expectations for job prospects and business conditions. The US market’s whipsaw followed a sell-off in European shares on Thursday. The region-wide Stoxx 600 index reached its lowest level since November 2016, down 1.7%. The UK’s FTSE 100 hit its lowest level since July 2016, closing down 1.5%. Back home, the FBM KLCI index gained 18.12 points or 1.08% on Thursday. 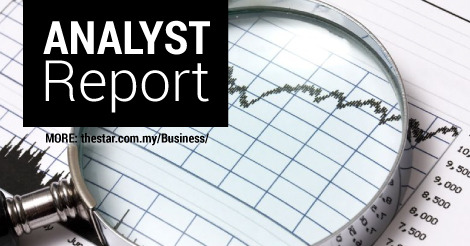 Trading volume increased to 1.61bn worth RM1.21bn. Market breadth was positive with 595 gainers as compared to 221 losers. The regional markets were mixed in Thursday’s trading, with some settling back after early advances. Japan’s benchmark Topix closed up 4.9%, but Hong Kong’s Hang Seng index fell 0.7% and China’s CSI 300 lost 0.4%.